I know what you're thinking, this kind of dessert looks soooo complicated to make, right? I've always found cake rolls to be somewhat easy. I thought maybe I'd just had a lot of luck with them. Then a woman on the TV show Steven and Chris duplicated my thoughts, when she said that cake rolls are very easy for the home-baker. Okay, so maybe it hasn't been luck or skill, for me. A couple of things to know about cake rolls. You need to use a cake recipe that is "flexible" when baked, like a sponge cake. A cake mix cake, or tender butter cake, will crack if you try to roll it up. 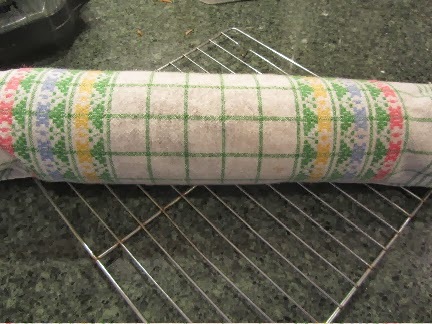 The baked sponge cake needs to be rolled up while warm. Cake rolls can be frosted, but I think they look nice just dusted with confectioner's sugar, either plain, or blended with cocoa powder, or with cinnamon or nutmeg sprinkled over the top. They are moist cakes, so can be kept rolled, filled and wrapped in plastic, in the fridge, overnight, meaning I'm not rushing around at the last minute baking, filling and frosting a cake. If Thanksgiving dessert is all about the pie, then Christmas dessert must be all about the cake. At least that's the way it is in our home. Some years, it's a steamed dried fruit cake. Other years, it's a cake roll, sometimes chocolate and iced (Buche de Noel), other times I go "easy" and make this pumpkin cake roll. No icing, no layers, but spectacular in presentation -- it's really fairly easy. I follow one of the Libby's recipes, with just a few tweaks of my own. And, I can make it the day before, wrapping the filled, rolled cake in plastic wrap and keeping in the fridge until an hour before serving. At that point, I plate it and sprinkle with powdered sugar and cinnamon/nutmeg. Cake rolls can be filled with butter cream frosting, 7-minute icing, jelly, or any cake or smooth pie filling. I've made this particular cake roll several times over the last few years, and always WOW! guests. I've baked these for open houses, holiday dinners, and to bring to potlucks, all with resounding welcome. I wish you lived closer, as I'd invite you over for tea and cake. That's how much I enjoy making this pumpkin cake roll! Grease jelly roll pan, bottom and sides. Cut waxed paper to fit the bottom of the jelly roll pan. 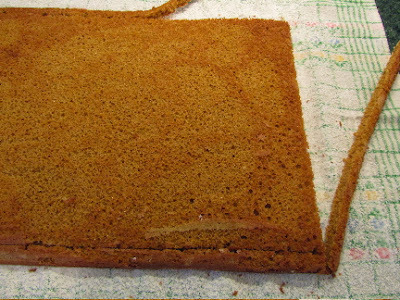 Place waxed paper into greased pan. 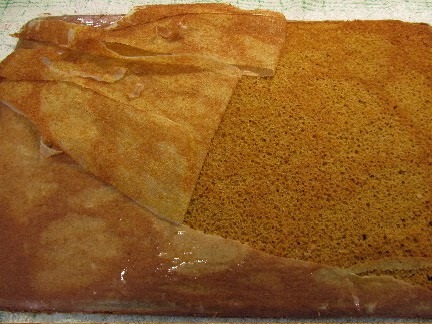 Butter the waxed paper, and sprinkle pan and paper with flour, then tap out. Spread dish towel out on counter and sprinkle with the 1/4 cup of powder sugar, all over (this will help the cake roll to release from the towel later). Sift the dry ingredients together, onto another large sheet of waxed paper or into a medium bowl. Stir as needed to combine. In the large mixing bowl, beat the eggs until foamy. Slowly add in granulated sugar, and mix until thick. Add pumpkin, and beat until well-combined. Stir in the dry ingredients. Spread batter in prepared pan, evenly to edges. Bake for 12-15 minutes (time will depend on your jelly roll pan). 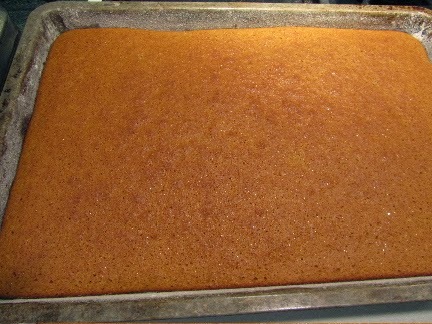 When done, the top of the cake will spring back when pressed lightly. Remove from oven, and immediately loosen edges, all around, with a table knife. Go under the entire cake with the off-set spatula or metal spatula, to loosen. Tip the cake over onto the sugared dish towel. The cake will still be hot. 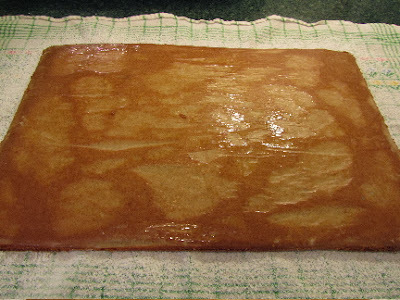 Peel the waxed paper off from the bottom of the cake. With a sharp knife, trim 1/2-inch all around the edge of the cake. This will allow it to roll more easily. You'll roll the cake up without any filling, and allow to cool, rolled up in a towel. This will shape the cake into a roll. So, at one of the long ends (a 10-inch end), begin rolling up the cake and towel together. Place on a cooling rack, with the seam side down. Cool thoroughly (a couple of hours max). You can fill this cake roll with a pumpkin mousse, or use this recipe for a cream cheese filling. In a medium bowl with mixer, beat together until soft: one 8-ounce brick of cream cheese (room temp), 6 tablespoons of butter (room temp). Mix in 1 teaspoon vanilla extract and 1 cup of powdered sugar, until all is smooth and well-combined. Chill for about 15 minutes. Unroll the cooled cake, and spread the inside curl of the cake, evenly with the cream cheese filling. Reroll the cake, this time without the dish towel. It won't matter if the cake looks flour-y or the filling is oozing out. 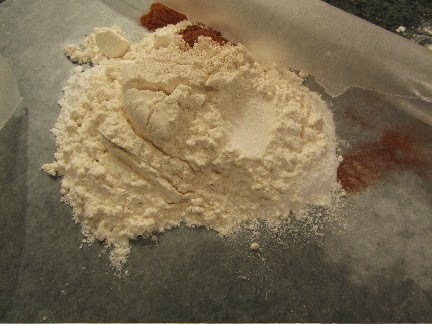 The final sprinkling of powdered sugar will conceal any flour-y looking portions. And the oozing filling will be left behind on the dish towel. 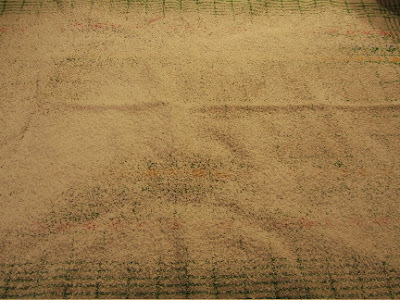 Transfer to a large sheet of plastic wrap. Wrap in plastic and chill for at least 1 hour. At this point, the whole cake roll can be refrigerated until the next day, if you want to do this ahead of time. When ready to plate, unwrap from plastic, center on plate, and sift generously with more powdered sugar, then lightly sprinkle on some ground cinnamon/nutmeg. 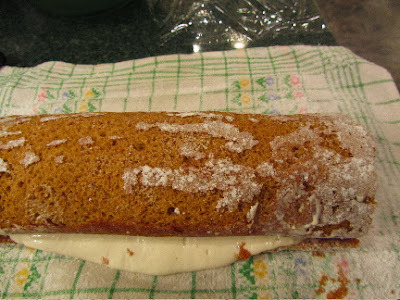 A made a pumpkin roll cake once to take to a covered dish dinner. Even though my roll was a little uneven, it wowed the crowd both in taste and looks. Do you ever freeze these? I don't know the particulars, but a lady I work with said she freezes her pumpkin rolls. She brought one in for us and it was delicious! I've never frozen the pumpkin ones, mostly because I fill them with a cream cheese filling, and I'm not sure cream cheese would freeze and thaw very well. But I do freeze chocolate cake rolls that are filled with cocoa buttercream frosting, when I make those for Christmas or New Years. Then I frost the Buche de Noel the day that I serve it. Hi Angie, do you remember what kind of filling was in the one that your friend brought in? That would make life simpler, to make a couple early in the season, freeze, and then bring them out when we needed them. I've never tried freezing a cream cheese frosting/filling, but maybe it would freeze okay. I'll have to experiment sometime. I have never frozen cream cheese frosting, but I do freeze regular cream cheese that I get on sale. It seems to do okay. Thanks for your experience info, live and learn. I'll have to experiment, and freeze one of these and see how they thaw. It sounds like they might thaw just fine. My friend/co-worker used cream cheese filling in her pumpkin rolls. I remember her saying she made them ahead and froze them. I'll have to ask her about it when she comes back from vacation. I googled freezing pumpkin rolls with cream cheese filling and found a couple of articles about it. One said it could be stored up to a month if properly wrapped and the other said up to two months if properly wrapped. Thank you, Angie. I will definitely bake these ahead, and freeze in the future! I LOVE pumpkin cake rolls! My mom always made them. I've made a couple of cake rolls using angel food cake mix. It makes 2 roll-style cakes and is a good option for dessert if you're watching fat/calories. You can add cocoa powder to make it chocolate. It came in really handy for me last summer for my son's birthday--I wasn't going to have time for a last-minute cake so I made the cake roll, filled it with ice cream, and voila! Cake and ice cream in one package with no last-minute prep from me. Yum, angel food cake from a mix would simplify the cake roll even more. I like your solution for a birthday cake and ice cream. I know a few people who regularly buy ice cream cakes for birthdays. These would be delicious and a lot less expensive! To decorate, you could spray on some whipping cream down the center of the top, and add colorful sprinkles. Okay, so you've given me an idea for a spring birthday in our house, just a couple of months away! 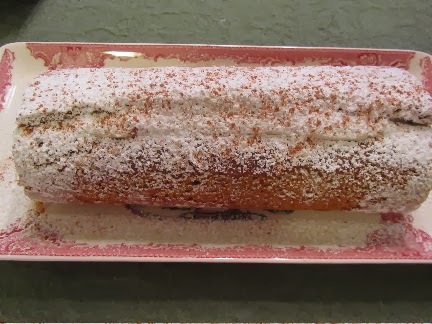 The pumpkin cake roll is the tastiest, but the angel food one is nice and light, especially in the summer. I put whipped topping (the low-fat variety--I was struggling with my weight at the time!) and, as you said, sprinkles on the top. You could do an endless variety of things--crushed candy bars, Skittles, M&Ms, etc. Have fun planning your next family birthday. Your cake looks beautiful. I've never made a cake roll before. 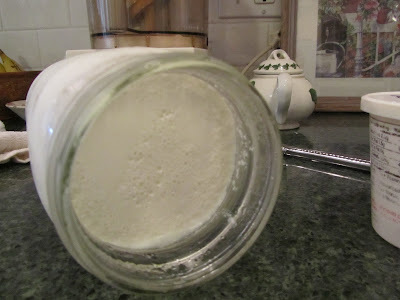 Will this work with your substitution for baking powder (baking soda and vinegar)? I'd like to try this. works. Just add the vinegar to the pumpkin, eggs and sugar mixture. 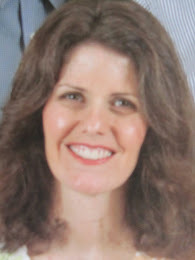 Jacqueline, I made a jelly roll with a yellow cake base, using vinegar and baking soda, instead of baking powder, a couple of months ago. And it turned out fine. My sister is the baker in the family. She brings a pumpkin rolled cake to Thanksgiving every year. Hers is filled with something like a whipped pumpkin pie filling. Very delicious. Delicious - I can't wait to give it a try. I don't have a jelly roll pan, but I have a cookie sheet with shallow sides that might work at a pinch. Your cookie sheet with sides should work. This cake is very thin. Cream cheese goes on sale for about $1 or less for an 8 oz block every fall. The sales are probably related to holidays (Thanksgiving in late November, then Christmas and finally New Years). I buy a lot of cream cheese when it goes on sale, because it keeps for months and months. You can also use strained plain yogurt (yogurt cheese), or just a different type of frosting/filling. For cooking fresh pumpkin (you could also use any other winter squash -- I have read that canned pumpkin isn't even really pumpkin, but squash) -- a small pumpkin (what we call a pie pumpkin), about 8 inches in diameter, will cook down to about 1 1/2 to 2 cups of thick pumpkin, for me. So, you could cook 1 small pumpkin, measure what you need for this cake, then freeze the rest of the cooked pumpkin, to do something else with, like a pumpkin souffle (not a true souffle, it's just called that), or some pumpkin soup, or muffins/bread. I hope this helps. I understand that sweet pumpkin foods are very uncommon in your part of the world. Thanks for all your wisdom on this lili! Sarah, if you try this, best of luck with it!